If you were asked to describe your brand voice, what would you say? How would you explain how you speak to your customers and your employees? What if your brand were a person standing next to you at a cocktail party. How would you introduce them? I use this exercise because I’ve come to realize that the notion of brand voice isn’t as well known among some marketers as I previously thought. More often than not, I’ve even gotten the name of a brand’s voice over talent when I’ve asked about the brand voice. True story. However, this isn’t a voice-shaming post. This is about my realization that the essence of branding is still an area I can help marketers with, and I love that. These brands evoke iconic images but close your eyes and listen to one of their ads. Without hearing the name, you would probably know who it is. They are distinctive and consistent in their brand voices, and they are leaders in their categories. Coincidence? A brand’s voice helps customers “feel” the brand whenever it communicates. A brand voice humanizes the brand for the consumer, making it easier to relate and connect to it based on shared values. 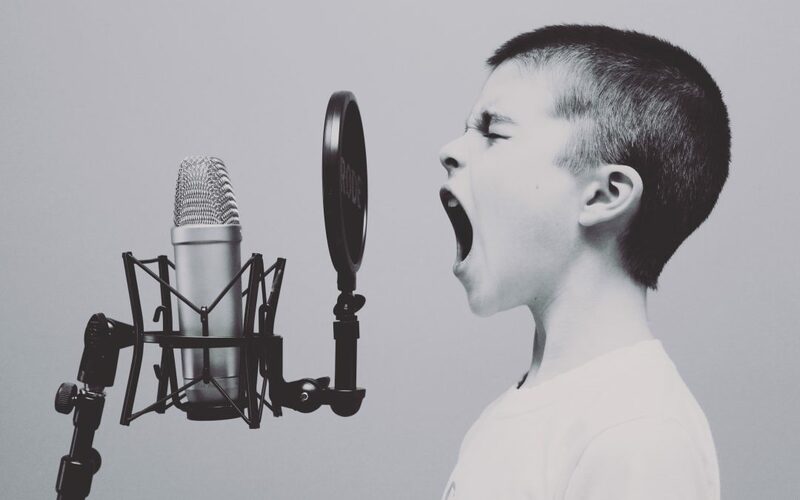 Today’s dominating use of social media has allowed even the smallest and newest brands to establish unique brand voices. Squatty Potty took the social world by storm with its (ahem) unique videos with a mix of eye-catching visuals and humor that focus on connecting and entertaining rather than selling. Tasty’s humanity has opened many doors for a relatively new brand. Oreo’s famous dunk in the dark tweet during the 20XX Super Bowl was a first step into what has become a very recognizable brand voice. Wendy’s snarky attitude, though often at odds with its non-digital branding, is another. A brand’s voice needs to flow from the vision and mission of the organization to the smallest details. There must be commitment so that the voice doesn’t falter in the rush of real-time responses or last-minute programs. So, how do you set and maintain a voice for your brand? Often the brand name can indicate a voice. Think of Squatty Potty as playful or the pragmatism of PayPal and the emotional tone of Triumph Motorcycles. Consistency is key. Remember that cocktail party I mentioned? Imaging that person you were chatting with after a few too many drinks. They come up to you and whoa! This is not the same person at all! That is EXACTLY what happens when customers get mixed messages. One ad shows your professionalism and the other is snarky. That will leave anyone wondering who they are doing business with and why they are. Most businesses have more than one customer (or persona), but although their needs and motivations may differ, good marketers must understand that the brand is one serving many, not many serving many. Additionally, businesses will have more than one person be the touchpoint with the guest. It’s important that all employees and representatives been properly trained on the brand values and voice. This will provide the confidence they need to ensure on-brand interactions. The addition of social media also makes it important that any training address the difference between personal and brand voice. Every word and image shared will add or detract from the voice. Consistency will protect your brand from having minor slip-ups become major issues, and the bonds you form will followers will become stronger. Sprout Social recommends a few exercises including storyboarding your voice as a writer would to develop a character. What does your brand like? What doesn’t it like. What does your brand want to be? What sorts of colloquialisms does your brand use? Thinking of your brand as a human can give you great insights. Although consistency is key, it is not concrete. Understanding the mood and medium of your message can guide you in the application of your voice. For example, loyalty programs often hit a reset period where the past purchases determine the level of benefits you will receive for the next period. If the customer is getting more in the next period, it’s a no-brainer, but what happens when you are the fun, friendly brand and you have to tell a customer they are getting downgraded (or their flight is being cancelled)? Different mediums (or channels) also require a different approach to your brand voice. The most obvious contrast is social media versus direct mail. One has to be quick and to the point while not disengaging the audience. The other gives you much more opportunity to walk the reader through the message. Create a brand style guide which goes beyond graphic standards. This should include your brand mission, vision and values statements as well as what your brand will and will not do. We have a great downloadable checklist. Create a list of key words and phrases that are and aren’t in your brand lexicon and include them in your style guide. Standardize your fonts, colors and images. They are as important as the tone, manner and words you use.